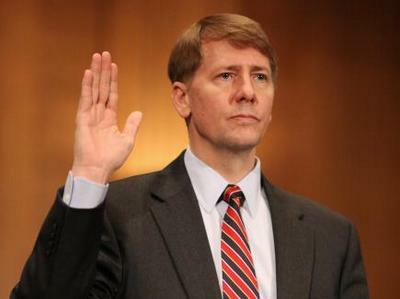 I issued this statement today after the White House confirmed President Obama will recess appoint Richard Cordray to lead the Consumer Financial Protection Bureau (CFPB). Today’s appointment of another unaccountable czar is an arrogant abuse of Presidential power. Then-Senator Obama has previously called such a recess appointee "damaged goods." So we are left to wonder why the President is unwilling to work with Congress to adopt common-sense improvements in accountability and transparency that would protect small businesses from more job-killing regulations and red tape.